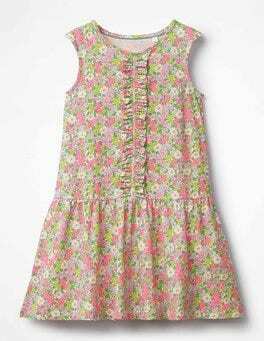 Summer fetes call for candyfloss, and these pastel dresses are just as sweet. 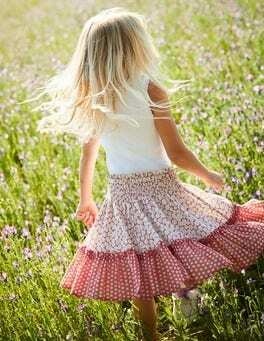 The tiered, swishy shape is perfect for swirls and twirls in the sunshine. Frilled sleeves and embroidery at the neckline give it a pretty finish, and we've gone all-out with a pom-braid trim. Give it a whirl. Love a striking print? This is the dress for you. Crafted from soft and stretchy jersey fabric, it's super comfortable and has slightly split sleeves for added interest. Say hello to your new favourite everyday outfit. 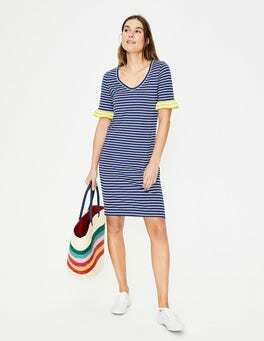 Not only is this soft semi-fitted dress simple-to-wear and comfortable, but the medium-weight jersey is easy to care for. As if that wasn't enough, it's cut above the knee and has slanted slit pockets for practicality and style. Date in the diary but not a thing in the wardrobe? With a semi-fitted shape and V-shaped neckline, this dress is exactly what you’ve been looking for. The fluted hem adds a sultry swish to your walk, and in soft jersey it’s supremely comfortable. Boat necks aren't just for sailors you know. Our fully lined dress is a hit on dry land too – thanks to its comfortable jersey fabric. Practice your knots and get a perfect fit with the elegant front-tie detail and you'll be ready for dinner at the captain's table in no time. We're saying hello (and very nice to meet you) to this jersey dress. The wrap design works like a built-in waist belt to create a gorgeous hourglass shape. Choose your colour and pair with court heels for the perfect desk-to-dinner outfit. 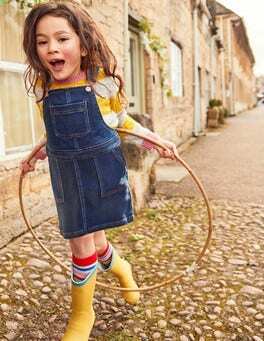 From cartwheels in the park to twirls on the dancefloor, this versatile jersey dress does it all. 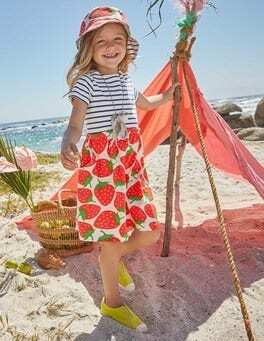 The sweet ruffle trim down the front, flippy skirt and pretty prints are easy to dress up for special occasions. With soft cotton fabric and a relaxed drop-waist shape, it's ready for action too. What’s not to love about spots, stripes and florals? 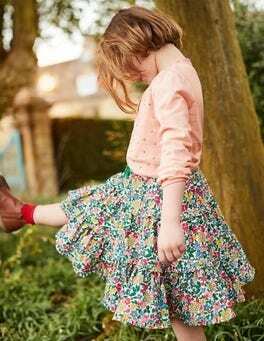 Our jersey dress is great for playtime in the park and sweet enough for a Sunday roast. 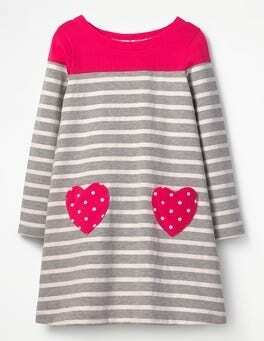 This easy-to-wear design has long sleeves to keep arms cosy and pretty heart-shaped pockets that are perfect for stashing treats. 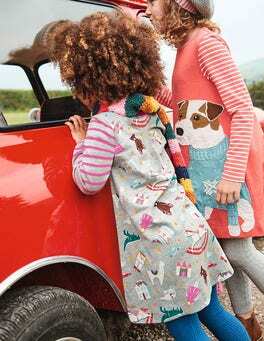 This smart (but cosy) jersey dress is the perfect partner in mischief for dance parties and days spent adventuring. 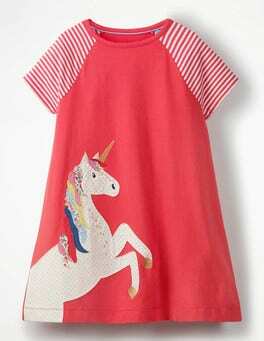 We've given it a Peter Pan collar, appliqué detailing and keyhole opening at the back. It's made from 100% cotton, so your skin will love it as much as you do. Fancy enough for date night dinners and practical enough for the 9-to-5, this cinched waist design is quite the multi-tasker. The boat neckline is elegant and simple, while the twisted fabric detailing at the waist adds a flattering touch. The soft jersey fabric has a comfortable drape, too. 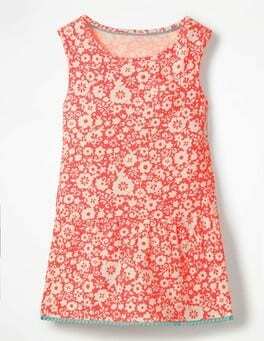 Our relaxed dress was made for lazy days in the sun. Drapey fabric ensures it's comfortable and easy to wear, while ruching at the waist is oh-so flattering. The fitted top, flared skirt and midi length make it smart enough for the office, too. There's a reason why this dress is a bestseller season after season. The wrap detail on the bust... The cinched-in waist... The soft A-line shape... It all adds up to a wardrobe classic that you'll wear and wear. Now in an array of new shades and prints. Pingâ€”another save-the-date memo just landed in your inbox? Our beautifully simple wrap dress will come to the rescue. 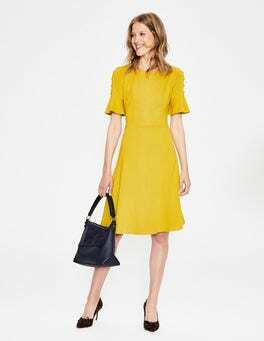 With its lightweight jersey and stretch blend, it flatters in all the right places and it's finished with a demure, knee-skimming hem. Now, let's start on those RSVPs. 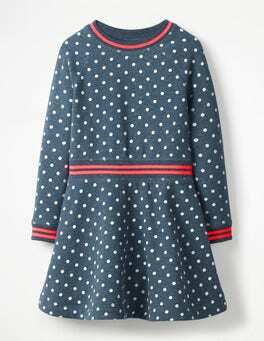 Cold weather can't stop the fun – our spotty jersey dress is cosy enough for parties at the North Pole. 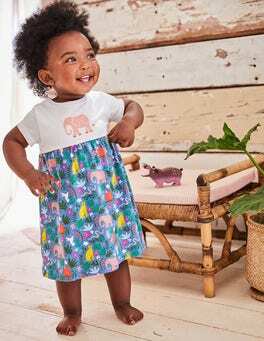 The soft brush-back fabric and long sleeves keep things toasty while mingling with polar bears, and the full skirt is perfect for showing off dance moves to passing arctic foxes. 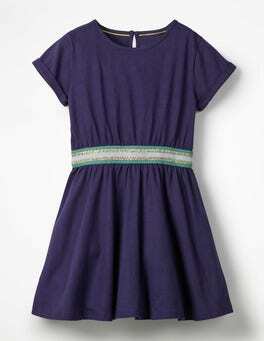 Getting ready in the morning has never been so easy as with this carefree jersey dress. Just slip on the relaxed swing shape and pop on a pair of leggings. The pretty prints – a floral pattern or unique kingfisher design – will ensure you stand out from the crowd.